If contacting me regarding sensitive or personal information, please use: m.Shepherd1@nhs.net rather than my University of Exeter email. 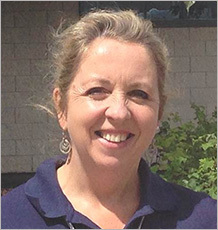 Professor Shepherd trained as a Registered General Nurse in London and worked as Diabetes Specialist Nurse (DSN) for eight years prior to moving to Exeter in Devon in 1995 to join the diabetes genetics research team. She gained a PhD in Medical Science in Exeter focussing on attitudes to genetic testing in diabetes in 2000. She has qualifications in Medical Education and Genetic Counselling. She delivered the Janet Kinson award lecture at DUK in 2003, is an Editorial Board member of the European Diabetes Nursing Journal and has over >100 publications (>30 first author). Her interests include the impact of genetic testing in diabetes, particularly the change from long term insulin to tablet treatment, misdiagnosis, patient experience, translating research findings into clinical care and increasing awareness and knowledge of monogenic diabetes amongst health care professionals. Her role within the department includes research, educational and clinical roles. Her research currently involves identifying patients with monogenic diabetes who have been misdiagnosed as having Type 1 or type 2 diabetes and co-ordinating the transfer of these patients to the most appropriate treatment. She leads the national Genetic Diabetes Nurse project which has been running since 2002 and trains DSNs about the genetics of diabetes so they can raise awareness of monogenic diabetes, identify and support families across the UK. She is also the educational lead for our Clinical Research Facility. She runs monthly monogenic clinics with Professor Andrew Hattersley and is happy to guide clinicians and patients about the management of their monogenic diabetes. The impact of genetic testing in diabetes, particularly the change from long term insulin to tablet treatment, misdiagnosis and patient experience. Translating research findings into clinical care. Increasing awareness and knowledge of monogenic diabetes amongst health care professionals. Educational grant from Takeda UK of �7,950 per annum from 2008 for three years Pan-Peninsula Diabetes Education Initiative (with Dr K MacLeod). Educational grant from Sanofi Aventis of �1000 for 2008 for Pan-Peninsula Diabetes Education Initiative (with Dr K MacLeod). Lilly Diabetes Nursing Education Award 2005 (3rd place). The Department of Health MODY link nurse project: An educational model for the integration of genetics into diabetes care. Janet Kinson Award Lecture at Diabetes UK annual conference 2003. ‘I’m amazed I’ve been able to come off injections’: Patients’ perceptions of genetic testing in diabetes. ‘Taking primary care from good to great’ for SB communications supported by Lilly, in London, Cardiff, Southampton, Bristol, Manchester and Birmingham March 2011. Inter-Disciplinary Net 7th Global Conference ‘Making sense of Health, Illness and Disease’. Oxford, July 2008. Dr Shepherd has been involved in identifying patients and their families with monogenic diabetes to take part in a range of newpaper articles over the years and have also taken part in radio interviews about diabetes research. Training / teaching x 3 study days per year for national Genetic Diabetes Nurses and others interested in monogenic diabetes.